2. Material : eco-friendly material,all kinds of materials can be chose. such as velvet, jute, satin,cotton,canvas, organza leather. 8.We produce all kinds of shopping bags,such as pp woven bags,pp non-woven bags,nonwoven bags,gunny bags,satin bags,paper bags,oxford bags,nylon bags,etc. The bag can be seen everywhere as it is so popular for using all kinds of bags in our life, because it is very convenient for shoppers., such as paper bags,kraft paper bags and nonwoven bags and so on, It plays an important role in our life. 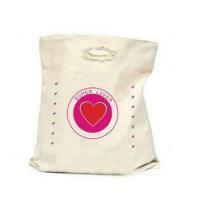 It can be used for a company's brand promotion,supermarket,brand shops(for clothes and shoes, toys ,supermarket and so on),food stores etc.We would like to provide you bags with very competitive prices and good services. Hope to establish reliable business relationship with your esteemed company.